Earlier to this the speculation was made that the Xiaomi is going to launch a new smartphone naming the Mi 6 Plus variant with 6GB of RAM, a Snapdragon 800 series SoC, and a 4000mAh battery on Tuesday however, there was something else up its sleeve, instead Xiaomi has launched a new variant of the Mi Note 2, sporting 6GB RAM and 64GB of inbuilt storage in China. This post includes the following search terms related to Xiaomi Mi Note 2 Special Edition Price, Specifications and launch date. Xiaomi Mi Note 2 Special Edition price, Xiaomi Mi Note 2 Special Edition launch date, Xiaomi Mi Note 2 Special Edition release date in India, Xiaomi Mi Note 2 Flipkart, Xiaomi Mi Note 2 top features, Xiaomi Mi Note 2 specifications, Xiaomi Mi Note 2 pro release date in India, Mi Note 2 features etc. Xiaomi Note 2 was first unveiled in China in October last year in three storage variants: 4GB RAM + 64GB storage, 6GB RAM + 128GB storage and 6GB RAM + 128GB global version. The new Xiaomi Mi Note 2 variant with 6GB RAM/ 64GB storage has been priced at CNY 2,899 (roughly Rs. 27,500). The 4GB RAM/ 64GB inbuilt storage model is priced at CNY 2,799 (roughly Rs. 26,600), a 6GB RAM/ 128GB storage model is priced at CNY 3,299 (roughly Rs. 31,300), and the Global Edition 6GB RAM/ 128GB storage model priced at CNY 3,499 (roughly Rs. 33,200). The existing Xiaomi Mi Note 2 comes in at 2,799 Yuan (approximately Rs 27,600) for 4GB RAM with 64GBROM variant and 3,299 Yuan (approximately Rs 32,500) for 6GB RAM with 128GB ROM variant. However, the global 6GB RAM variant is priced at 3,499 Yuan (approximately Rs 34,500). The new Mi Note 2 will be a great choice for users who have been looking to get it with 6GB RAM, 64GB storage at a lower price from the existing Mi Note 2. 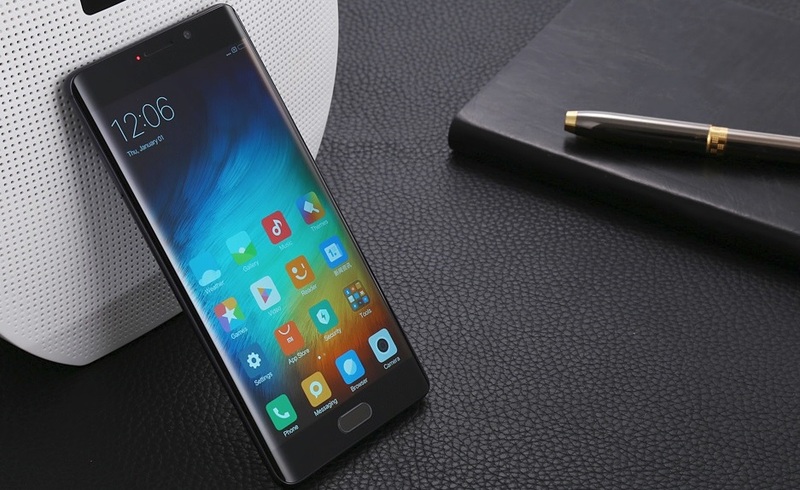 Xiaomi Mi Note 2 supports dual-SIM and runs Android 6.0 Marshmallow-based MIUI 8 out of the box. It sports a 5.7-inch full-HD (1080×1920 pixels) Oled flexible display with a 77.2 percent screen-to-body ratio and a 110 percent NSTC gamut. The Mi Note 2 is powered by a 2.35GHz quad-core Snapdragon 821 Performance Edition SoC. It bears a 4070mAh battery and Quick Charge 3.0. It bears a fingerprint sensor on the home button. The Xiaomi Mi Note 2 sports a 22.56-megapixel rear camera with a Sony IMX318 Exmor RS sensor, an f/2.0 aperture, PDAF, and EIS with its own 3-axis gyroscope for 4K video stabilisation. On the front, it sports an 8-megapixel Sony IMX268 Exmor RS sensor, and an f/2.0 aperture, apart from a group selfie feature and Auto Beautify 3.0. The Mi Note 2 packs a 4070 mAh battery which supports Quick Charge 3.0. For connectivity, Xiaomi is promising LTE speeds of up to 6000 Mbps, Wi-Fi, Bluetooth, NFC for Mi Pay etc. It also houses Aquatic audio processor for enhanced audio quality both from the speakers and headphones.